It’s not unusual for us to be reading a few books simultaneously, don’t you agree? Well, along with Carl Lentz’s book, OWN THE MOMENT, which I talked about in my previous blog, I am also reading a couple of others. Can you relate? Well, one of the other books I’m currently engaged in is Matt Kahn’s Whatever Arises Love That. As noted on the back cover, the book is described as containing “groundbreaking teachings on ENGAGING LOVE as the MOST POTENT CATALYST for transformation and healing.” Another review noted that “the act of opening your heart is recognized as the timeless remover of obstacles.” When I read the words remover of obstacles, I paused. I paused for quite some time. You see, that’s what Matt Kahn’s book does, and that is why it’s taking me an extremely long time to read. It seems like every page is a revelation and invitation to do just that – pause, take stock, go within and do some inner investigation. There’s nothing like good self-inquiry to dust off the cobwebs and move forward from a place of love and healing – rather than from a place of fear and separation. This morning, I happened to be listening to Marianne Williamson’s talk on the Hay House World Summit and, naturally, she was talking about love and miracles. It got me thinking of all the ways that choosing love over fear has enhanced my life. How operating from a place of love is real, it’s indestructible and it is who we are. So how can we not operate from a place of love? And miracles? Well, as she noted, miracles occur when a shift in perception occurs. How true is that?!?!?! The moment we shift from a place of fear and separation to a place of love, everything changes and everyone benefits. We change, our chemistry changes, our bodies change, our outlook changes and the people around us can feel and see the change. It is truly palpable! Returning to a place of love is something we choose to do over and over again. It’s a choice we are faced with making every time something or someone shows up and ruffles our feathers. Just recently, I was faced with a situation that hurt my feelings. My call to action was to pause and tap into my toolbox. I relied on love’s wisdom to get me trough. Coming from a place of love, as opposed to from a place of judgement, allowed me to take my time and shift my perception. It allowed me to act and not react. When the going gets tough, I take action! I tap into the teachings, music, mantra, meditations, movement, visualizations, stillness, writing and a whole lot of inner investigation. You see, allowing feelings to arise and loving them without judgement is a healing process in itself. It’s something Matt Kahn talks about throughout his book. With each layer we peel away, we are able to clearly see love is wisdom in action. It amazes me how much lighter we feel when we operate from this heart centered, inner knowingness…how connected, guided and directed we feel, and how our hearts just keep expanding more and more. One of the most powerful practices I have found is to send out my love as blessings to another during a challenging period / circumstance. The more love and light we stand in, and the more love and light we send out to others, the more we heal and the more collective healing that takes place. It’s a win-win situation! There’s nothing like operating from a heart wide open. A closed heart, encased in a protective shield of armor, doesn’t work for me. It would make me feel like a fraud. It would announce to the world, or anyone who is listening, that I don’t trust anyone or anything. In my humble opinion, this just causes a whole lot of suffering. I can definitely see how abusive or violent circumstances would cause someone to guard their hearts from further pain. But doing nothing to address the situation can only cause more pain and suffering. Love is a healing balm. Showing ourselves unconditional love, tender mercy, sweet compassion, constant forgiveness, on-going understanding, and endless patience all result in unquantifiable inner peace. These are all practices that help us heal and reclaim our true innocent nature. How do we know this? Again, love is wisdom in action! One of my favorite quotes, derived from A Course in Miracles, is “Every decision I make is a choice between a grievance and a miracle. I relinquish all regrets, grievances and resentments, and choose a miracle.” I cannot begin to explain how empowering this is. It’s love’s wisdom in action. I’ve employed that mindset for many years now, and it always brings about a sense of clarity and harmony. It helps me tease out any remaining grievances that may still be lingering beneath the surface. It also allows me to see if my Ego has come calling. And, as you are probably very well aware by now, nothing positive, constructive or beneficial happens when we operate from the Ego. Instead, allow Love to come knocking at the door! Love certainly came calling, and I opened the door nice and wide this week as I grappled with how to handle the situation that hurt my feelings. I greeted Love as an old familiar guest. Luckily, forever conscious.com generally has some good exercises, visualizations and meditations for clearing and cleansing, so I got to work. Below you will find a most powerful part of the activity I did that truly allowed me to accept, release and let go of any and all unwelcome feelings that were anything but Love. The activity also allowed me to peel away even more layers that led to some pretty powerful, empowering and insightful revelations. It showed me a couple of areas I still need to work on. However, I was able to fully embrace the beauty around the challenging situation with a humble and grateful heart while still honoring my feelings and emotions. More importantly, I was able to have a deeper conversation with my Self that allowed me to nurture my wounded inner child. As with all sacred rituals, please take a moment to clear your space and ground yourself. You may also want to have pen and paper handy. For the entire activity, you can check out the Taurus New Moon Ritual May 2018 on foreverconscious.com, and you will be guided through a very lovely and significant experience. Close your eyes and place your hands over your heart center. Think about a recent change or something confronting that is coming up for you. Perhaps you are dealing with a bad boss, or perhaps you recently ended a relationship. Just think about whatever is troubling you, or whatever changes are making you uneasy. Try to just focus on one. Think about the situation you have chosen, feel into it. Go through it all in your mind while keeping your hands on your heart. Now find 10 things you can be grateful for around this situation. Really challenge yourself to think about the good that has come from it. Once you have come up with 10 things that you feel grateful for around this situation, notice what thoughts and feelings have arisen for you now. Notice if any solutions or new ways of looking at things have emerged. Notice and feel that all things in our life have a beauty as long as we open ourselves to it. Throughout our lives, we pretty much can tell when someone is telling the truth or not and if their words and intentions are genuine or not. Well, the same goes for the expression of heartfelt gratitude. Our gratitude either comes from the heart or pays lip service. It’s either genuine or impure. We are either authentic or a fraud, transparent or all smoke and mirrors. The choice is always ours to make. The blessings that are bestowed upon us are vast and endless. The more we are grateful for, the more abundance that seems to show up in our lives. And I don’t just mean the abundance that we know as money. Abundance comes in all ways and from a bottomless well called The Universe. For me personally, gratitude is most certainly a way of life. It is my manifesto for living. That is why I am a self-proclaimed “gratitude junkie.” Much of what we go through in life teaches us to be thankful for all of it….the good, the bad and the ugly. I like to call it the “lessons and blessings.” Here’s a thought though: Why should we have to wait to be broken open time and time again or live long enough before we finally learn to be grateful for all that is? Furthermore, why should this week be any different that any other week of the year? Just because there is a day that is earmarked on the calendar as “Thanksgiving” and a ton of related paraphernalia flooding our senses doesn’t mean we can’t live each and every single day from a place of deep gratitude and express heartfelt thanks. Think of the shift that would occur if we stopped to give thanks throughout the day and not just at the traditional meal time. By now we know the positive effects that a gratitude practice has on our nervous system and how it promotes health and well-being. Imagine if we all expressed genuine thanks throughout the day? Imagine the impact and shift that would occur in our lives and the lives of others? Imagine. So on this day before Thanksgiving, I want to share with you with a few questions to ponder. Some of the questions come from a lovely Attitudes of Gratitude Guided Journal by M.J. Ryan that I found years ago. I am not sure if it is still in print but, if it is, it’s something worth checking into. It lays the foundation for a beautiful practice and also makes a thoughtful and meaningful gift. You can choose to journal your answers or perhaps make them part of a family activity this week or even on Thanksgiving Day. It’s a good opportunity to put away the electronics and have yourself some meaningful conversation! How has gratitude brought more grace into your life? Has gratitude made you feel more fulfilled? How? How can you teach gratitude to others? What are some of the ways gratitude comes naturally into your life? Do you approach life with a positive or negative attitude? How do you cultivate a true and deep appreciation for what you have? What unique gifts have you been blessed with? What are you grateful for about you? Count the number of ‘Thank you’s” you say during one day. Could you say more? How can you teach gratitude to your younger ones? Honoring your connection to your ancestors gives you a sense of belonging and wholeness. How do you honor your family? Hoe do you honor their legacy? Who have you most learned from in your life? Life is a journey on which you become more and more fully who you are meant to be. Who is that person? May you know gratitude. May you be grateful for the abundance in your life. May you also be grateful for the people, feelings and experiences that cause you pain and discomfort – they are here to teach you. Express your gratitude everyday and you will find even greater abundance in your heart and in your life with each passing day. Heartfelt thanks and blessings darlings…today, always, and in all ways! I walked into my acupuncture appointment last week at Stillpoint Acupuncture & Yoga in Denville, NJ, and the lovely Terri had this quote posted in her waiting room. I knew the quote was one I wanted to use for the post you are about to read. Donna Farhi, brilliant author, international yoga teacher and retreat leader, could not have expressed this sentiment more eloquently. By the way, her book, Bringing Yoga to Life… The Everyday Practice of Enlightened Living is truly a manifesto for living whether or not you are a yoga practitioner. If you want to bring your “life to life,” then this is a book for you! It is so chock full of wisdom and depth….This book was given to me as a gift and, in turn, I too have given several as gifts. It’s just one of those books you return to again and again for just about every paragraph is a revelation (thanks, Peem, for this observation, or I could have highlighted the entire book). So, back to the topic of being still, connecting and listening….call it meditation, prayer, contemplation, reflection – or whatever suits your fancy. The point is that allowing ourself to sit in stillness, preferably in the quiet of the early morning, can and will eventually set the tone for our outlook, attitudes and interactions with people throughout our day. It allows us to connect with our breath (our life force, prana, chi) ease into our morning, and bring clarity to our thoughts and emotions. Let’s be perfectly clear here, our minds will never be empty of thoughts, but we can step into “witness mode” and just acknowledge those thoughts without becoming them and getting all wound up in the stories our reptilian brain is spinning for us. Instead, we can lovingly bring our attention and focus back to our breath. The practice of being still allows us to connect and align ourselves to our “higher power” the Divine force in the Universe. The more we do this, the more we are able to have a 360 view, like older dragonflies are said to have. The art of being still, listening, connecting and aligning are, like other mindfulness practices, a conscious choice we make. This quiet time we create, allows us to pray, ask for guidance, talk to God (or whomever your higher power is) and listen to the voice and messages that show up. There is truth in the saying that “stillness speaks“…let the feelings and that wave of peace and calm wash over you! Listen to what your heart is telling you or guiding you to do. In doing so, it allows you to feel deeply rooted and grounded and gives you the confidence, ease and grace to approach the start of a new day like the precious gift it is. I like to start my day, even before getting out of bed in the morning, by listening to Snatam Kaur’s song, On This Day. It’s actually a birthday song, and it’s significance, the words, and her soothing angelic voice remind me of the fact that I have been given life on this day yet again. I open each day as the gift that it is, and I want to live it to the fullest, use my time wisely, and serve accordingly. For me, this is truly a meaningful, significant, remarkable, powerful and inspirational way to embrace the new day ahead. One of my beloved yoga teachers, Angela, played this for me at the end of class on my birthday last year. It’s coming up to just about a year of listening to this song every day. And, if you know me, you know I like to share…in turn, I’ve sent it on to some friends on their birthdays. Talk about exponential influence! I’m a firm believer in sharing the love. After listening to the song, I say out loud, “Thank you” as my feet are beginning to touch the ground. I enjoy my early morning quiet time. Oh and a word of advice, shut off your phone! Don’t put it on silence or vibrate…..just shut it off!!! It makes a world of difference, and I like to say that my entire body exhales the moment I turn off my phone. It allows for a deeper level of relaxation, concentration and connection. I have other morning rituals that, as you can very well surmise, are for yet another post! 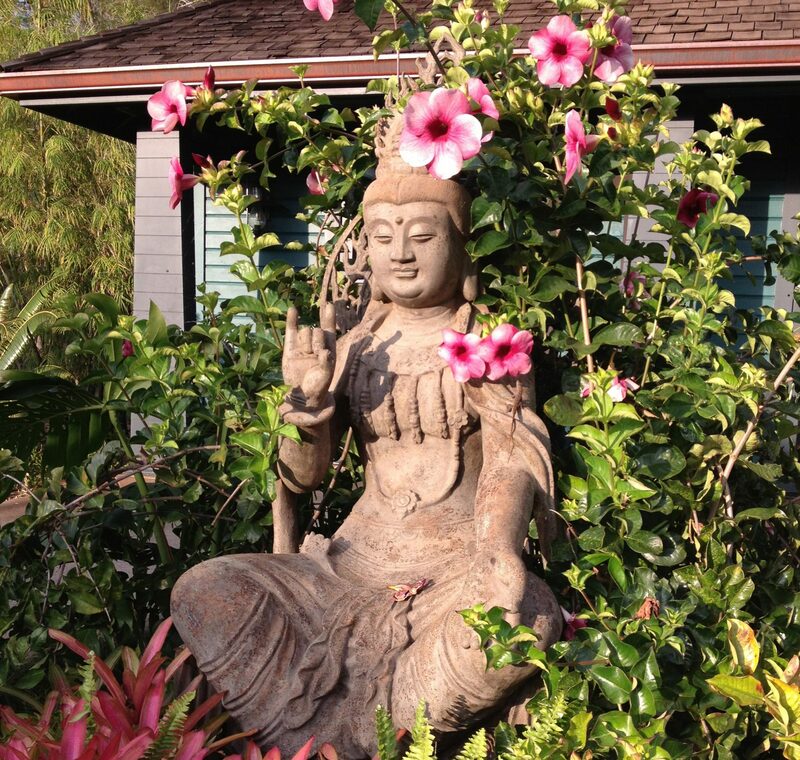 It saddens me when I hear people say they don’t have time to meditate, or be still….seriously???? Darlings, all we have is time, and what we chose to do with it is another story altogether. These are the individuals that, as Donna Farhi’s quote hammers home, are in need of stillness and quiet the most! These are the individuals who are stuck, tend to be reactive, tightly wound or restless, oftentimes anxious and/or depressed, perhaps have unhealthy addictions, always running away from their issues, spend hours and hours trolling social media and, as a result, are most likely to be their own worst enemy. Can you relate? Do you have people in your life that fit this description? Are you the poster child for this description? if so, then it’s high time you let go of behaviors, situations, and circumstances that aren’t serving you and find a better, more balanced way of living. Your health and peace of mind deserve it! Another valuable lesson I’ve learned along the way, is that we CANNOT change people. Don’t waste your energy, or you will be the one who winds up sick! Instead, follow the rules the airlines give us, “In the event of a change in cabin pressure, put the oxygen mask on yourself first”…..this is the time for you to work on yourself, make your Self a priority, dedicate time to your Self. Shower your Self with loads of self-love and self-care. Trust me, people around you will begin to see the change in you – a different, calm, peaceful, centered, glowing and vibrant you. They will most certainly want to know your secret!